NEW FOR 2017! 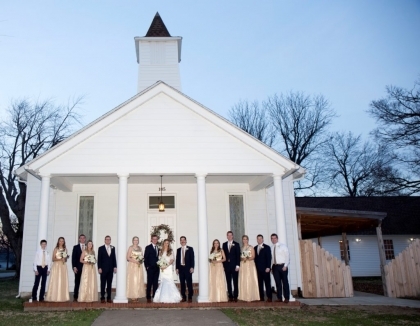 Heritage Chapel now offers small elopement packages. We can create an affordable custom package to include your minister, photographer, cake, flowers, anything your heart desires for a small, intimate wedding at an affordable price — without having to drive out of state. Starting at $300 for 10 guests, let us take care of the details so you can enjoy your special day! Heritage Chapel strives to give our clients the flexibility to create the wedding of their dreams. Alcohol is permitted at Heritage Chapel, as well as outside catering. We love working with our Wedding Collection partners to create your dream wedding.